Fan Xinman is following in the footsteps of her ex-husband Director Zhang Jizhong whose love for Jin Yong novels started a series of drama adaptations in the early 2000. She will be producing a remake of two of Jin Yong's novels - Lian Cheng Jue 连城诀 and Tian Long Ba Bu 天龙八部. 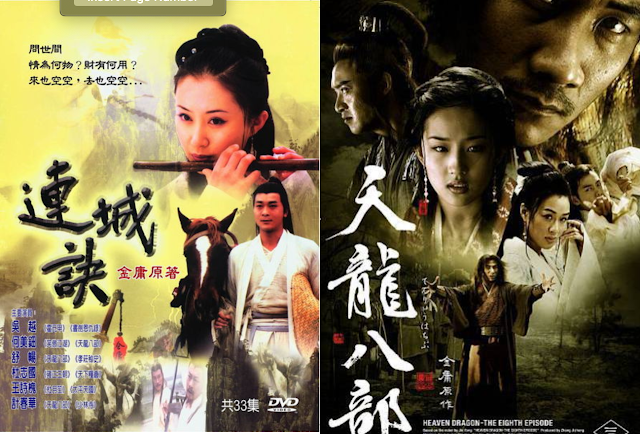 There have been multiple adaptations based on Lian Cheng Jue since the 80's and possibly even earlier. The most recent remake was in 2004 starring Wu Yue, Shu Chang and He Mei Dian. This time around, Fan Xinman will be remaking this into a TV drama. 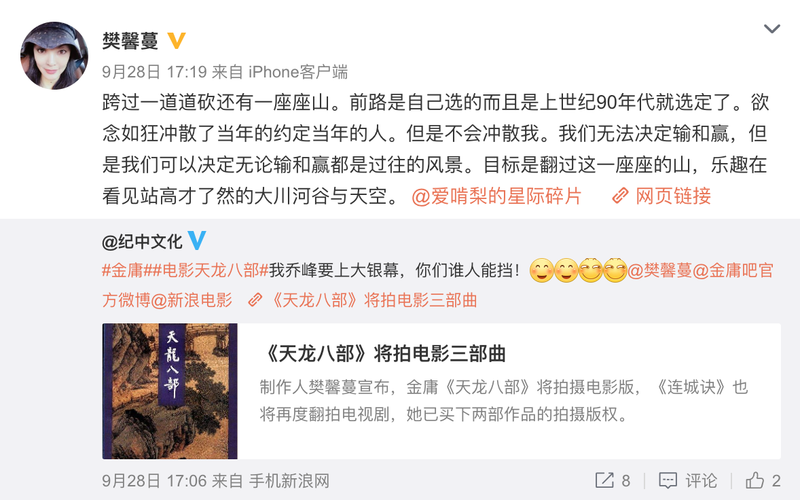 Tian Long Ba Bu on the other hand, is being planned as a film trilogy. I hope they can actually finish the story unlike the 2013 movie Kung Fu Cult Master starring Jet Li which has left many hanging. Separate from this production, a TV remake has just been filmed this year. The cast has not yet been decided for these two new projects. Who do you think should get to play who? I know people will always complain when a jin yong gets another adaptation but there have not been that many good storyline Wuxia drama recently. I personally don't mind remake because these have good storyline if they are executed well. I mean there are lots of good materials out there for example the recent Martial Univerise but they completely butchered the drama. Companies know that these titles will succeed so I feel that they are less like to risk it on unknown titles.